Every year a pop up sculpture trail is launched to follow around London. It makes things a little more exciting as there’s usually maps to follow these “treasure hunts” and you can see tourist attractions at the same time. Following these trails gets addictive and it makes for great photo opportunities. 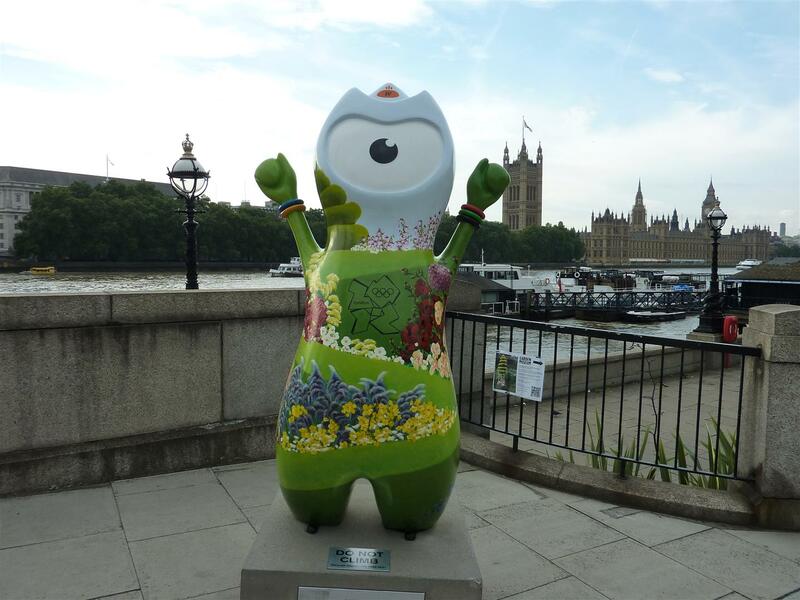 In 2012 I was incredibly excited to be experiencing the Summer Olympic and Paralympic Games in London. 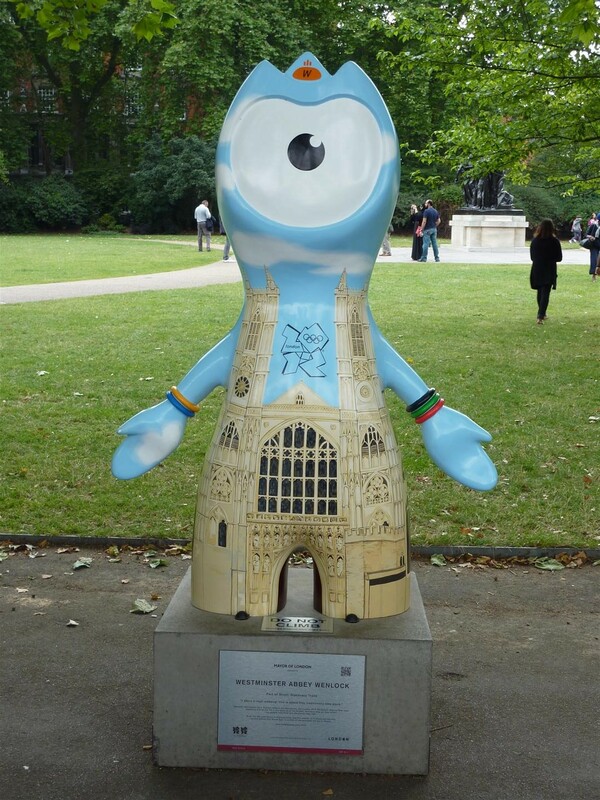 Wenlock and Mandeville were the two official mascots for the 2012 Games. 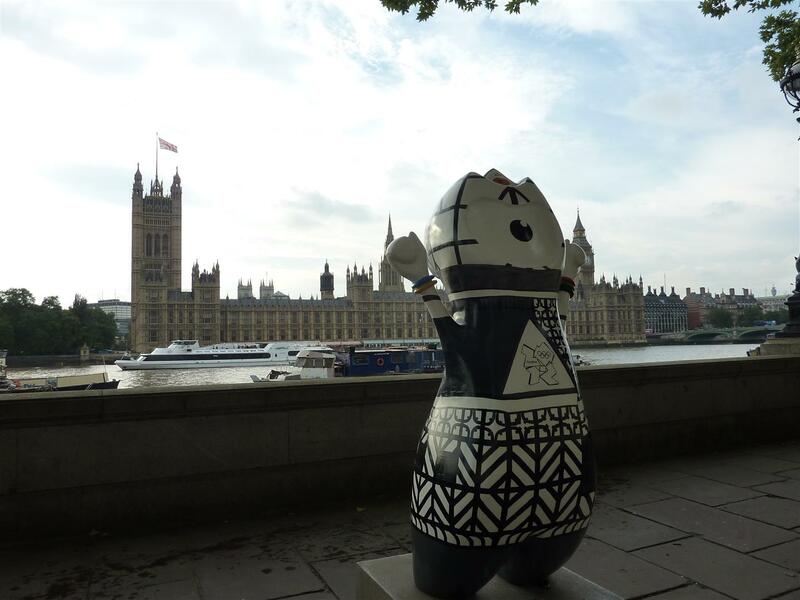 During this time a collection of 83 sculptures of these two mascots were planted at sites around the city each painted in an outfit that represented different elements of the capital’s culture. 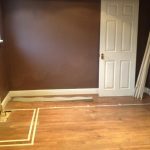 Grab a tube map and map book to get a good idea of the areas covered in this post. This +/- 9km walk takes you from St Jame’s Park to London Bridge. 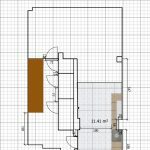 Please click on the links that I’ve provided on each attraction name for more information. I have done this walk many times and it is definitely one of my favourite parts of London. Starting at St Jame’s Park station it is a short walk to Buckingham Palace which is the official London residence and administrative headquarters of the reigning monarch of the United Kingdom. In summer the palace is open to the public where you can explore the beautiful state rooms and enjoy a tour of the palace. Westminster Abbey is about a 15 minute walk from the palace. There is an entrance fee but the daily services are free to attend. 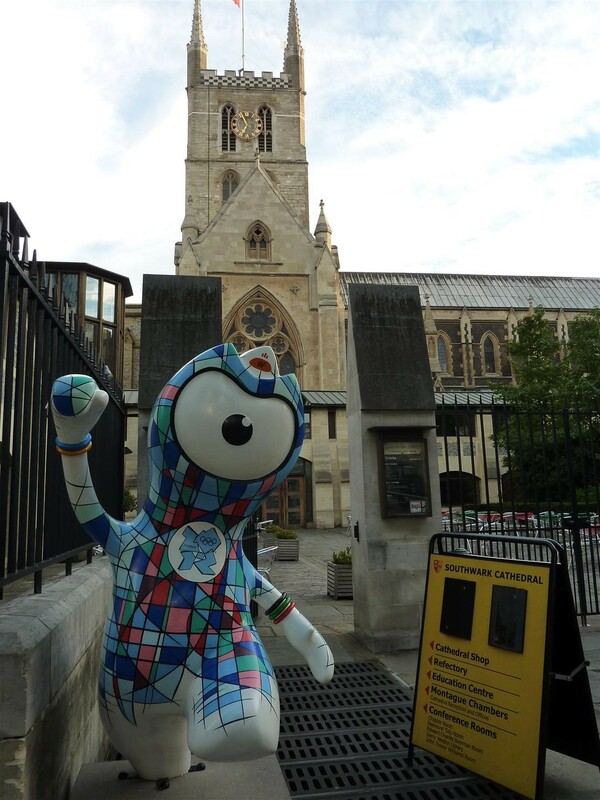 There are also a few gardens around the church which is where I found this Wenlock sculpture. From Westminster Abbey, you can also see Big Ben and the Houses of Parliament. If you’d like to get photos of Big Ben and the Houses of Parliament from afar then it would be best to cross the river over Westminster Bridge. Once over the river, you can either turn left or right. Left will take you to The Queen’s Walk towards Waterloo and the London Eye and right will take you to Lambeth Palace and the Imperial War Museum. To continue on my route we shall turn right leading you to the Lambeth/Southwark area. Lambeth Palace is the residence of the Archbishop of Canterbury in London. There are guided tours that take you around the rooms and chapels of Lambeth Palace, while immersing you in the history of the Archbishops of Canterbury. In the same area is the Imperial War Museum. It’s about a 13 minute walk from Lambeth Palace. The IWM London tells the story of those whose lives have been shaped by war from the First World War to the present day. It’s definitely worth checking out if you’re interested in wartime history. A 15 minute walk back to Westminster Bridge is where we will now continue onto The Queen’s Walk. This is such a lovely promenade along the south bank of the River Thames with benches to stop and rest your weary feet. Stop to pinch yourself. Yes you are in London! 🙂 Soak in the drama of Big Ben and the Houses of Parliament and get as many photos as your heart desires. Continue all the way along the river where you will reach the London Eye, London Dungeon and the London Aquarium. I’ve been on the London Eye but personally I would rather check out views across London from restaurants in high rise buildings like The Shard or the Sky Garden. Just a little further ahead is South Bank where you will soon see that there’s a lot to see and do. You could easily spend the rest of the day here. If you’re feeling hungry, you can also stop at one of the many restaurants. If you’re still feeling energetic then continue walking along the river for about another 600m where you’ll pass the “London Beach”. 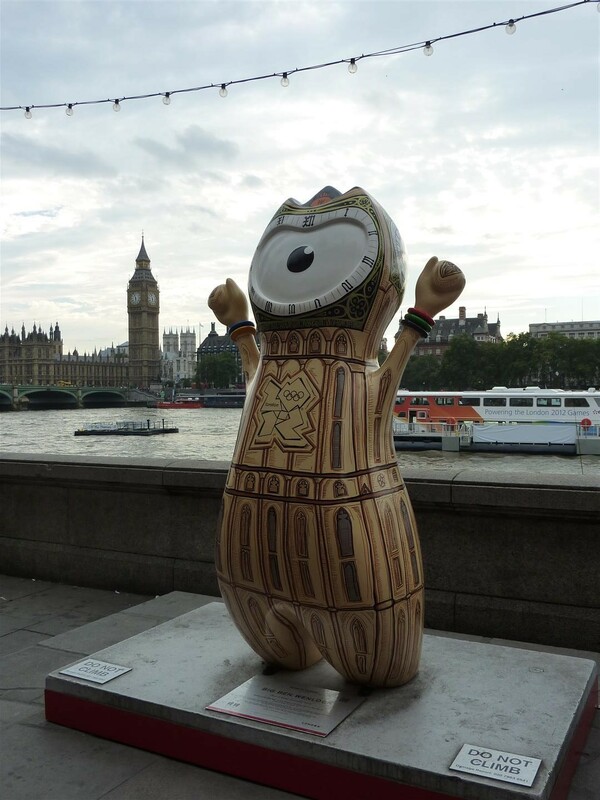 It is located in front of the Oxo Tower. It’s a very small foreshore and can apparently be quite muddy… You’ll also find many more restaurants and pubs along here. 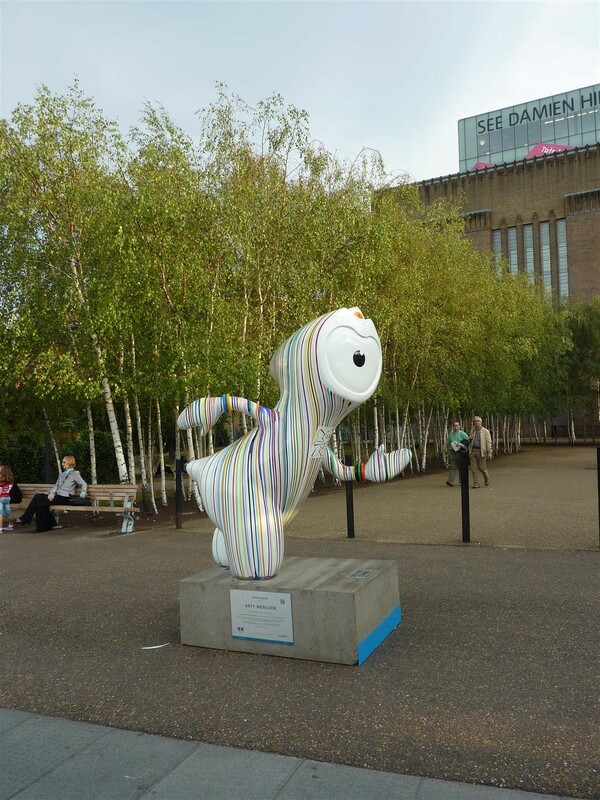 Walking further on the Thames path, about a 7 minute walk from the Oxo Tower is a modern art gallery called the Tate Modern. If you’re interested in modern art then check out their website to see the latest exhibitions on show. From Tate Modern walking along Bankside we pass the Shakespeare’s Globe Theatre and we start approaching the final stops for this walk near London Bridge. The Golden Hinde was an English galleon best known for her circumnavigation of the globe between 1577 and 1580. 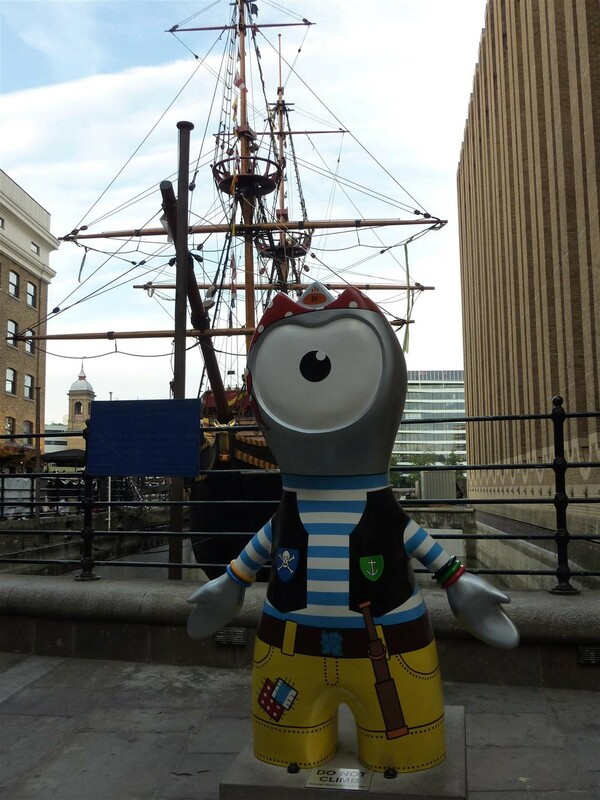 You can board the ship to experience what life was like for a Tudor sailor. The final stop on this walk is the Southwark Cathedral. This cathedral is known as the mother church of the Anglican Diocese of Southwark. Group tours and escorted walks are available for visiting the church. I have mentioned many attractions along this route. If everything appeals to you it may be too many to fit into one day 🙂 Pick a few that appeal most to you and visit those especially if you only have a few days in London. 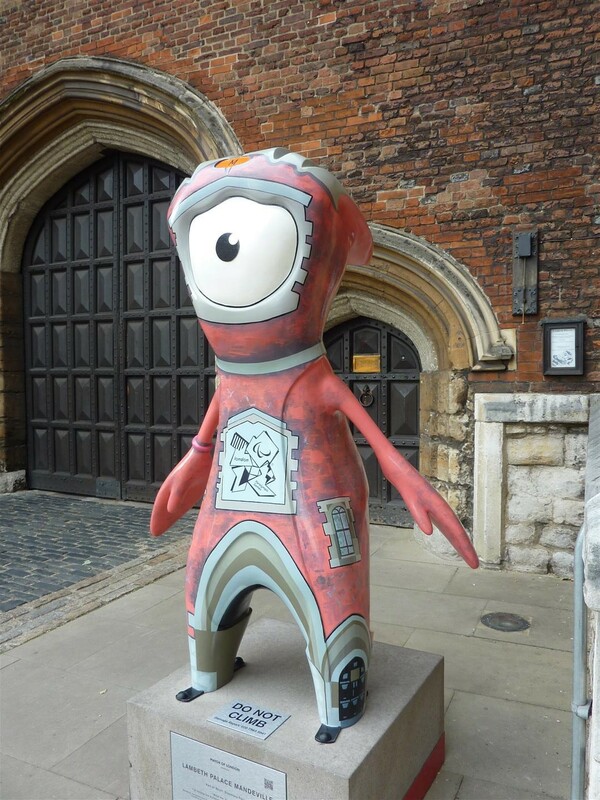 I hope you’ve enjoyed some of the Wenlock and Mandeville pictures that I took along this route. Watch out for next week’s post for the “Day 2 London Itinerary” post.